The Hadrami community’s migratory patterns throughout the Indian Ocean region have historically been propelled by trade and religious ambitions. 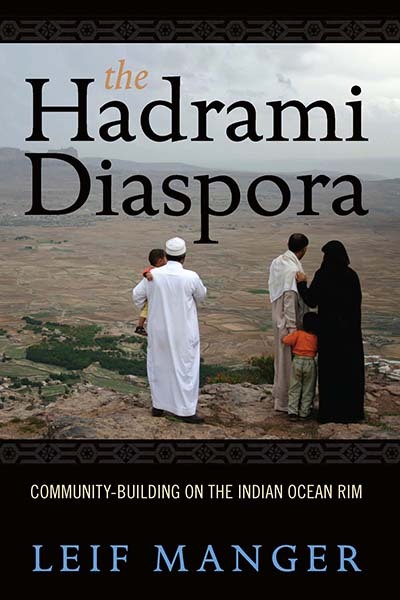 Leif Manger’s complex ethnographic account of this community’s varied and widespread diaspora from South Yemen is explored in The Hadrami Diaspora: Community-Building on the Indian Ocean Rim, which was published this month in paperback. Following, Manger discusses his work on this volume and his time spent with this diverse community in widespread areas. Berghahn Books: What came first, your interest in Hadrami culture or your interest in migration? What drew you to these areas of study? Leif Manger: Yemen has always been a dream for me, but I was particularly fascinated by the terraces in the mountains of the north of the country and the ecological effects of adaptations in such areas. This was due to my research interests in my early career, on intensification of agriculture, agro-pastoral interaction and development. Hence, during my first visit to Hadramaut I was mostly looking for links of interaction between the irrigated cultivation in the valley, and the incoming pastoralist groups. But seeing town like Shibam, Seyun and Tarim made me ask new questions. How could such cities appear in an area so marginal in terms of economic adaptations. The answer, of course, was migration and the diaspora. Which also brought me into issues of globalization. So, the starting point was very much empirical, and what I discovered “forced” me to take up conceptual issues that by chance turned out to be quite topical at that time, in the 1990s. Here was a case in which your basic empirical description of a migration history contained all the elements of “diaspora,” “diasporic communities” and “globalization,” long before the concepts were popular among scholars. I was hooked! LM: Apart from general despair of what you had gotten yourself into? Well, yes. When I got funding to travel around to Hadrami diasporic communites, I had an impression from talking to people in Hadramaut itself that these communities would be “mini-Hadramis” and that they represented the result of a constant wave of migration that had been going on for-ever and that Hadramis were found everywhere. I remember the story I was told, again and again, that when Armstrong set foot on the moon, he met a Hadrami who invited him for tea. These imaginations about migration, it’s history and it’s consequences, were to be challenged by my meeting with the diasporic communities, leading to a much more diverse understanding of variation, variation in reasons for migration, variation in local adaptations in the diaspora, and variation in the ways Hadramis reacted to the general developments they became part of. Again, I was overtaken by empirical realities. LM: Whereas my early work in the Sudan was traditional anthropology, with long fieldworks in villages, focusing on issues of development, I think it is fair to say that through my work on the Hadramis my interests shifted. Not away from anthropology but into making use of anthropological thinking to make sense out of larger processes, such as inter-continental migration, issues of state and society, and issues of diaspora, empire and globalization. Thus, at the time I am trying to think about these issues in broader terms, thus dealing a lot in my current work on large regional cultural-historical regions. Thus I can mention, just to indicate a direction, a book I am working on entitled Empires, World-Systems and Globalization in the Indian Ocean. An anthropologist among macro-historians and sociologists of the long durée. The book is on the Hadramis and other migrating groups in the Indian Ocean, but not during the last 250 years, as the present book is, but the last 2500 years! No wonder I had a problem finishing this manuscript. LM: Obviously, to anthropologists these broad issues might look more like history than anthropology, and the lack of field-based information give the discussions a descriptive impression. I have of course been held to task for this. My defense is again empirical. We must not think the modern and contemporary world is so special that we have nothing to learn from earlier communities and from people living in earlier historical periods. Modernity certainly has its characteristics, but de-linking it from the pre-modern periods, seems to me to cut us off from a chance we have to look at human experience comparatively, not only in space but also in time. On this point scholars disagree and for those who disagree with my position will find my argument controversial. This is not the end of theorizing, it is the beginning of it. Leif Manger is a Professor in the Department of Social Anthropology at the University of Bergen. His recent publications include, Diasporas Within and Without Africa: Dynamism, Hetereogeneity, Variation (co-edited with Munzoul A.M. Assal, Uppsala 2006). He has published works on trade, communal labor, and socio-cultural processes of Arabization and Islamization.